Our hearts are heavy with the news of Lillie A. Estes’ passing. We at VPLC send our condolences to Lillie A.’s family, and we mourn the loss of a remarkable leader. Lillie A. left a lasting impact on all of us at VPLC. “We are all the better because we knew her and the worse for losing her so early in her life,” said Jack Harris, first executive director of VPLC and long-time board member. 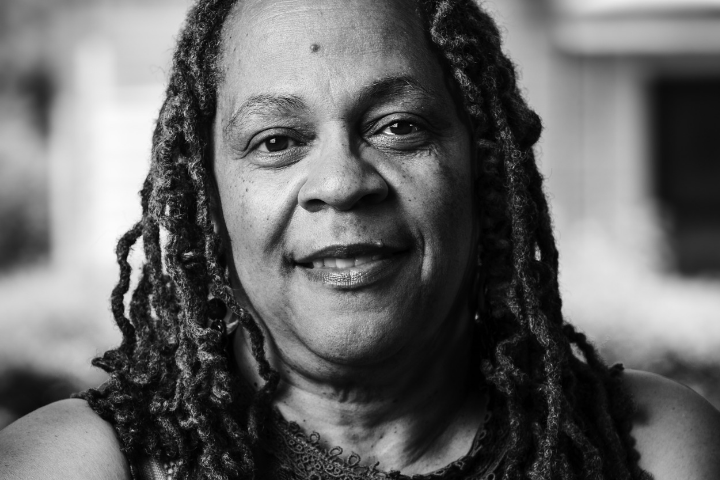 Last year, we highlighted Lillie A. in our 40 Faces, 40 Years photography project, which is currently on display on the third floor of the SunTrust Center in downtown Richmond. Next to her photograph lies a quote by Martin Luther King, Jr. that she selected for the project: “The ultimate measure of a man is not where he stands in moments of comfort and convenience but where he stands in times of challenge and controversy.” We’re reminded through this display of Lillie A.’s courage, powerful love for her community, and dedication to justice and equality for all. We grieve her loss but celebrate all that she accomplished in her lifetime, and in reflecting upon her legacy, we are reminded to continue our important work as we know she would. We’ll end our remembrance of a woman who’s life is an example for all with the same greeting Lillie A. always used in her emails.